You may be interested to know that in Dublin on Thursday 5 March 2015, we held our LBDC | Lawyers’ Business Development Club | exclusive General Counsel (GC) private-dining and roundtable discussion. Our event was very kindly sponsored by William Fry. 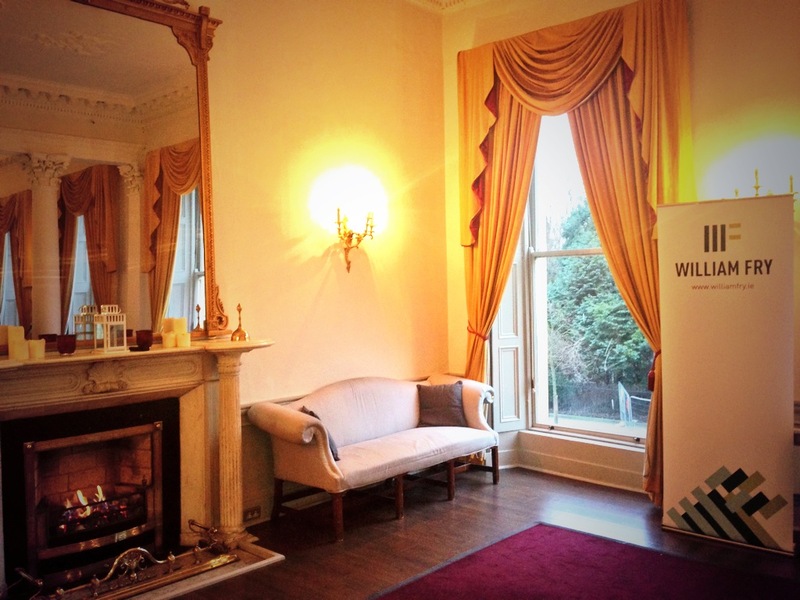 This exclusive event, by invitation only, took place in the stunning Guest Room at The Stephen’s Green Hibernian Club. You may be interested to read some comments/feedback from our General Counsel (GC) guests on our inaugural event. “As one of Ireland’s largest law firms, William Fry offers unrivalled legal and tax expertise across the full breadth of the business sector. We advise a substantial number of leading Irish and international companies, covering both the public and private sector. With a staff of over 400, the Firm operates a large international practice and regularly acts in cases involving other jurisdictions, including: the United Kingdom, the United States, Asia, the Netherlands, Germany, France, Spain, Italy, Poland and Eastern Europe. One of the key factors of the service provided by the Firm is the depth of experience and level of expertise it can bring to bear for the benefit of clients. The affairs of every client are assigned to a Partner who will be responsible for guiding our legal team in creating effective working relationships and developing solutions to problems. William Fry has offices in Dublin, London, New York and California. “David is a Partner in the Corporate Department and leads the Firm’s Foreign Direct Investment and Life Sciences and Healthcare Groups. He specialises in transactional M&A, fundraising (both from a company and investor perspective), shareholder arrangements and public listed company work including IPOs, takeovers and rights issues. Our next General Counsel event in Dublin takes place next month in April. It will be a dinner and roundtable discussion in the private-dining room in one of Dublin’s top restaurants. If you are a General Counsel in Ireland and would like to attend our next “LBDC” GC (only) event, please get in touch. It would be great to hear from you and I would be happy to extend an invitation to you to our future events. Our next exclusive General Counsel “LBDC” event takes in London on St Patrick’s Day (17 March 2015). Our sponsor will be Invest Northern Ireland. I look forward to hearing from you and to seeing you at a future “LBDC” event.